Monitoring iPhone Activities of Your Kids without Jailbreaking – AppleRepo.com, Teenagers and kids of this generation are fascinated by iPhones. It is an amazing device that can do almost anything a computer does. Kids love to play games, surf net, text their friends, click pictures and videos and send it to their friends. Major part of a day is spent in fiddling with their phones. As a result, they tend to spend more time communicating with the outer world rather than books. Monitoring kids and preventing them from doing any wrong is the sole responsibility of parents. Teenagers are innocent minds and they are always curious about the world outside. They are not aware of the rate of cyber crimes increasing each day. The online predators are hiding behind the screen and trying to find ways to harm you. The internet is a dangerous place for young minds and they trust strangers easily. So chances of kids going in the wrong path are immense. The need to monitor your kids is utmost important. Earlier parents had to get hold of the iPhones to know about what are their kids up to. Getting hold of the phones is not that easy. The advent of technology has come with software services that can monitor your kid’s activities in a hassle free manner. 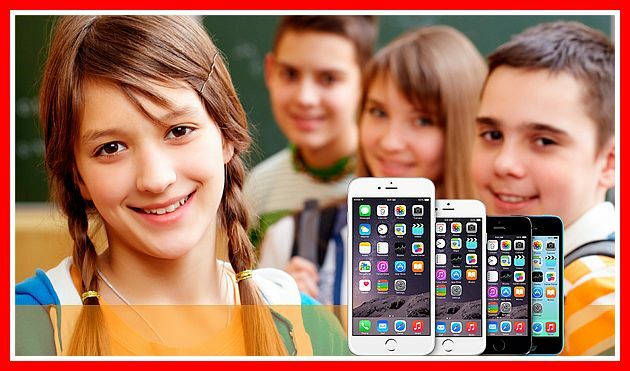 TeenShield is one such software that would help you to monitor iPhone activities of your kids without the need for iphone jailbreaking. If your kid is using an iPhone, tracking their activities is a little difficult. In the world of Apple, it is essential for every user to download iphone applications that are approved by Apple. Unless you jailbreak the device, it is really impossible for you to download any sort of applications. Jailbreaking is the process of removing software instructions imposed by Apple to approve side loading of apps. The process of Jailbreaking requires complicated restarts and sometimes reset of your device. To summarize this is a very complex procedure and is hassle some to some extent. The privacy and security feature can also be compromised in the process of Jailbreaking. iPhones are an object of wonder to young minds. You need to think twice before giving them one. It is obvious that they would be busy with the phone throughout the day. Without educating them about how to interact online safely and also about piracy, it is advised not to give any smartphone to your kids. Once they are well aware of how to handle iPhone and use them wisely then only give them one. But as a parent you must always be aware of what your kids are doing with the iPhones. Not by spying, but by monitoring you can help your kid to be in the correct path of life. Teenagers are sensitive and they react easily. They take things by heart, so monitoring them in a way like a friend is very important these days. Parents must be updated and well versed with the latest fruits of technology that can help them to nurture their kids in an appropriate manner. There is a wide variety of monitoring software in the market that can keep a track of iPhones without any sort of complications involved. TeenShield is one such monitoring software that would help you to keep a track of logged in activities of monitored smartphone. You can log in from your private account anytime to keep a track of iPhone activity logs. You can change or edit any settings from the secured account of the software and let the monitored smartphone be used the way you wish to. The best part of this monitoring service is that monitoring without Jailbreaking is very well possible. For detailed procedure regarding installation you can visit the official website and check the step by step procedure of software installation. Keeping a track of the messages on the iPhone is something very easy with the help of this software. IPhones allow you to send, receive text messages and photos to other apple devices. Along with date, time and contact name you can see every activity of the monitored iPhone as and when you feel like. This would help you to know the kind of messages that are sent or received in the phone. Preventing your kids from unwanted people contacting them can be done by blocking those contacts. Clicking photos and sharing them with friends and also in social media platforms can be very dangerous. iPhones are known for their awesome front and rear camera. Clicking photos is something teenagers love to do. Once a photo is shared in a social media platform or sent to a friend, the photo might land you in trouble. The cyber criminals wait for this kind of situation and this will give them an opportunity to intrude in your private lives. Parents should take care of the fact that their teenage kids are not sending inappropriate content or even storing the same in their phones. With the help of secured online account you can sit back at home and check the photo gallery of the monitored iPhone. Surfing net to know the unknown is in the curious nature of teenagers. As a parent you should be take enough initiative to check what your child is up to. Keeping a track of the websites your child is visiting and their search history is very essential. This can be done with the help of TeenShield that would provide you with all the details. Without the need of jailbreak, you can easily monitor iPhone activities as and when you require. Also figuring out the location of your kid is easy by tracking the GPS location of the monitored iPhone. Let them hang with their friends while you are sitting at home monitoring their location. Without the need of any spy app you can monitor their activities as you can constantly track their locations on the map. From a single web portal you can have a complete monitoring of the iPhone used by your kids. Children must also be taught to control their online behavior so that monitoring them becomes unnecessary after some time. Educating them about the pros and cons of online digital world is very necessary to live a healthy life.